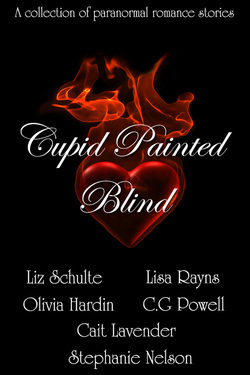 Enter below for your chance to win a copy of Cupid Painted Blind in ebook format. Three winners will be chosen! Good luck! With an eternity as the Angel of Death before him, not much could get under Dorian Hade's skin--that was until he met Gwen Sparks. She shuts down all of his advances and insists they are just friends. Dorian takes matters into his own hands and tricks Gwen into a romantic weekend away from her ex-boyfriend at a haunted bed and breakfast.